Fundamentally UnSound: Death From Above The Rim: Who Killed It? Death From Above The Rim: Who Killed It? Flashback to this time, nine years ago. 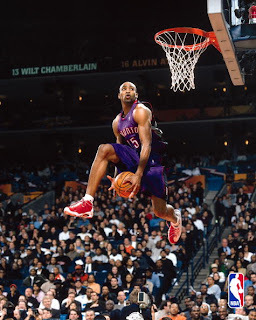 A young, upstart swingman named Vince Carter put on one of the greatest individual displays of athleticism in sports history. It was the kind of performance in which mere mortals realized why they aren't in the Association; and fellow NBA immortals showed their reverence to Vinsanity while he was in his airborne element. With his mouthed exclamation of, "It's over," he did more than just state he was champion of that night in Oakland. He, in fact, killed the dunk contest. 'll examine two tangents that stem from this initial idea. The first being Carter himself. 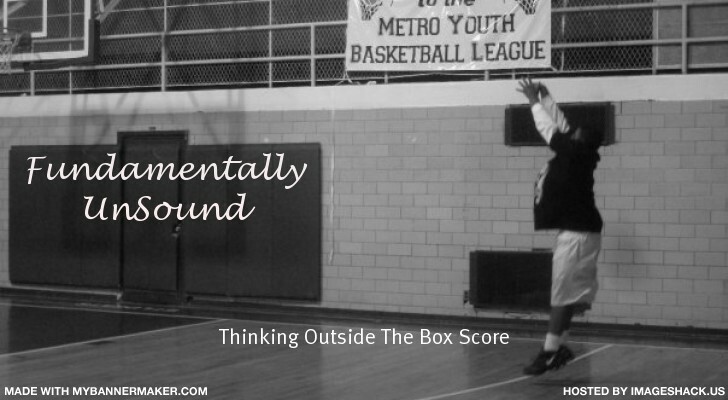 The perception among Basketball observers is that he doesn't have the most passionate approach to the game. To detractors, he only plays basketball because he can and not because he loves to do it. Despite infinite talent, he placed a low, finite ceiling on his career through real or fabricated injuries and the inability to win in the postseason. But when Carter dunks, it's as if he's an entirely different being. Carter almost never shows emotion, but always gets amped whenever he does something spectacular. The dunk appears to be Vince's exertion of dominance—a way to reclaim his territory. He dares the opposition, both defenders in the paint and dunk contest competitors in 2000, to challenge him—to meet him at/above the rim. So for someone as standoffish as Carter to be the demise of such a timeless event is a testament to Basketball itself. A player who's been described as a shell of what he should be hollowed out an event, making it a shell of what it used to be. This brings me to Dwight Howard. Yes, his past two performances—particularly the one in 2008—were refreshing and aethetically pleasing. He stole the show, but merely took the dunk contest's cadaver. To me, his 2008 performance overrates one aspect (The Superman Dunk) and underrates the other (all of his other dunks). This isn't to say that I wasn't impressed, because I was floored by the freakishness of it. However, considering the overall blandness of previous contests, save for a few flashes of brilliance, D-12 didn't have much as competition. He surpassed the level of post-VC slamfests as easily as he throws one down, but not even the Man of Steel can windmill life force back into the dunk contest. 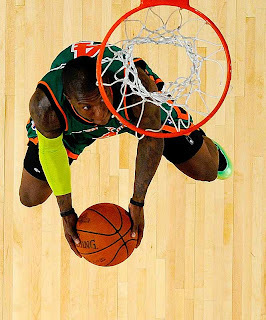 So congrats to you, Nate Robinson. At least you brought something resembling winning to the Knicks. And for those of you anticipating Lebron's appearance in the 2010 edition in Dallas, don't count on it. He'd be four months away from the biggest individual payday in NBA history (including endorsements). Plus, I don't think the folks at the Swoosh would authorize it. Tags: i wish i could dunk, i'm so disappointed in clive owen, nate robinson, NBA, why was larry hughes in the dunk contest?